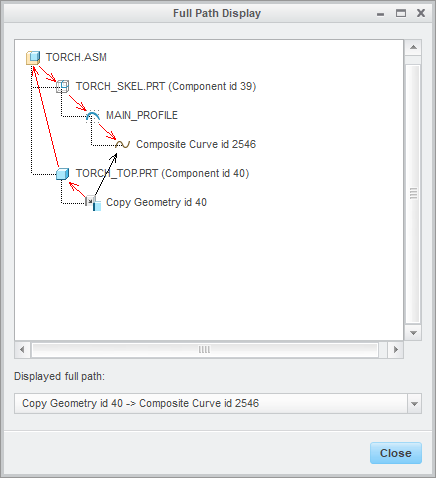 When a feature in a model is referencing some geometry or information in any other model then such reference is called “External Reference”. 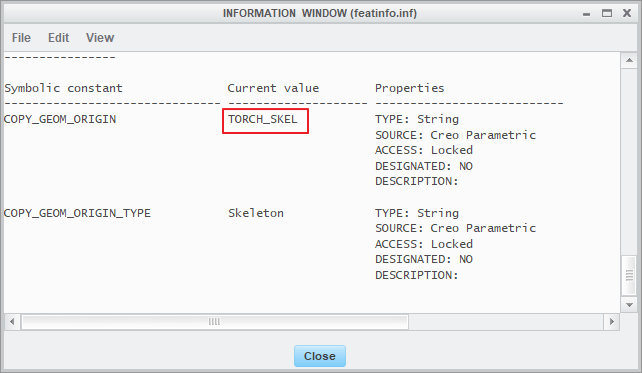 Generally, external references should be created only between a skeleton and a given model. External references between any other models are difficult to manage and should be avoided. In this chapter we will see how to investigate the external references in a design project. We will look at the following tools that are used for external references investigation. 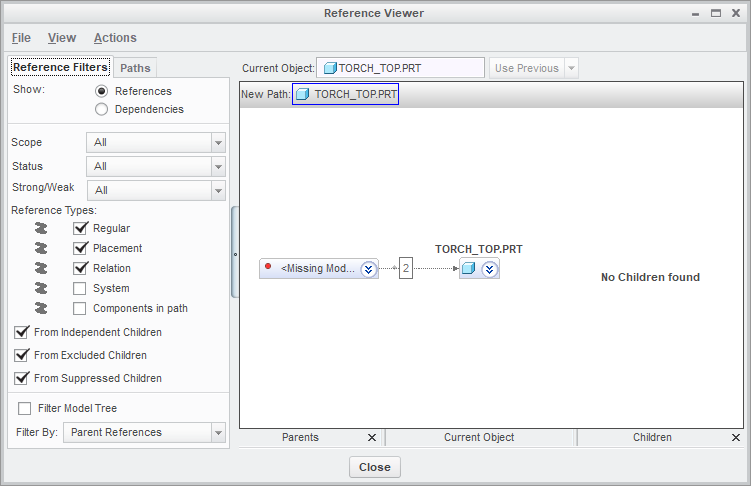 How to investigate the external references using Reference Viewer and Full Path Display dialog boxes. 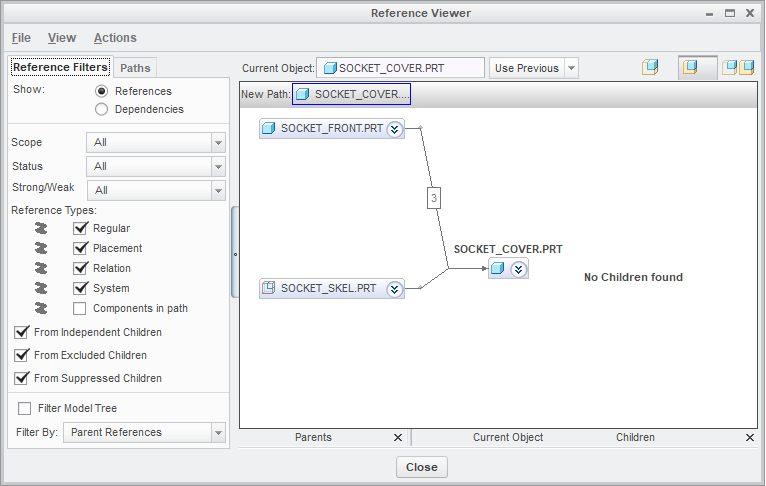 How to investigate the external references of a component when the parents are not in session.